I know I haven't been posting videos as much lately. I tend to do them when a topic occurs to me. 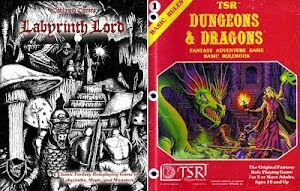 I've just posted a new (albeit short) one about the "ClassicDnD" pdfs being available again. I look like I'm singing the National Anthem or something in that thumbnail. Plans are progressing on the campaign front. I sent a "broad strokes" email to the group and got some good response from a few people. Enough so that I felt justified in setting up an Obsidian Portal page for them to peruse (If you've never checked OP out, do so. It's a terrific online resource, even for face to face playing). Taltos is the setting that Reaper's "Warlord" game uses. I've always liked it (and the minis), as it allows for a lot of fluidity to events. Instead of a nice, stable kingdom, the whole region's power structure is in constant flux. This gives the PCs a lot of freedom, but also less security. It should be interesting to see how they handle it. I plan on tweaking things a bit from canon, of course. Partially to avoid spoilers (though I imagine most of players have not read the setting fluff) and partially to tailor it to an RPG format instead of a wargame. So my group is talking about wanting a more extended campaign instead of a series of short adventures and round-robin GM-ing. After Night's Dark Terror (which ran almost a year), we kind of took a break from longer campaigns. I totally understand wanting to play the same character for a longer stretch though. The question: What to play? I had suggested running an LL/AEC megadungeon campaign for them, using either Barrowmaze, Anomalous Subsurface Environment, or Stonehell. All outstanding products, BTW. (I wish I'd written one or all of them!) The thinking was that it gave the campaign a definite structure, or at least a sort of axis to revolve around. Also, if the PCs had a base of operations (nearby town, etc. ), it would make it easier to change the party makeup when one player couldn't make it or one that missed the previous session came to the next (PCs coming or going from town). I didn't get a lot of buy-in on the idea, so it left me wondering what to try next. I considered Kelvernia, but the cross-genre aspects were a turn off to some. I realized that you can't please everyone, so I should focus on running something I wanted to run. The trouble was none of these choices really "grabbed" me. I pondered various settings, modules, systems, etc. for a while, but none seemed a good fit for various reasons. Some of them had to do with me, but I couldn't ignore that player buy-in was crucial to not only the campaign's health, but my enthusiasm as a GM as well. It's hard to sit down behind the screen week after week when the people at the table aren't having fun. Then it occurred to me that I could try approaching this in a different way. I decided to start with what I knew about the players at my table and what motivated them (much like Robin Laws' player types and hooks), then I could look at those things and see where it led my imagination. I've always been more creative with a springboard instead of cut loose in a void. By the way, if you haven't read Robin's Laws of Good Gamemastering, do so. NOW. A desire to see characters progress and "power up" through experience, influence, skill, loot, etc. 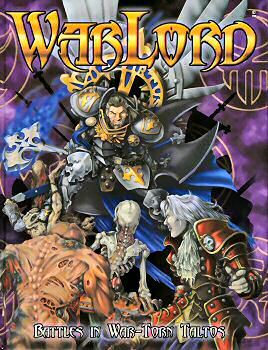 Escapism into a fantasy world where the character can do cool things competently, including a reasonable amount of good old hack & slash. A chance to influence the story and the world around them. Opportunities to role play and character development through role play, including intra-party relationships and conflict. A fondness for dark/horror themes. Different character types should have their chance to shine. A chance to think and act tactically, trying unorthodox or unexpected things. Also having the potential to be rewarded (in-game or meta) for doing so. Not everyone displays all these traits, but almost none of them are utterly exclusive to one player. So what was my takeaway? 1) A sandbox environment with no predetermined story arc. There should be good chances at combat, treasure, and magic. 2) The rules should allow for on-the-fly rulings that let players be creative and clever when dealing with the challenges in front of them, as well as a variety of challenges besides just dungeon crawls and combats. 3) Next, some sort of conflict like a war or rebellion would be a good hook generator, with a chance for the PCs to become involved, willingly or not. 4) Ideally, there would be enough diversity and detail in the setting to make it immersive without being overwhelming, and provide RP opps for those who wished to interact with things like NPCs and forge ties to people and places. 5) Lastly, there should be some element of darkness or weirdness to the place. It's shouldn't just be orcs and dragons. There should be real horrors out there that aren't going away because you can swing a sword. What do I do with all this? Well, it gave me the germ of an idea. Let's just say that it involves LL+AEC and a published setting, but not a D&D one. Further bulletins as events warrant.